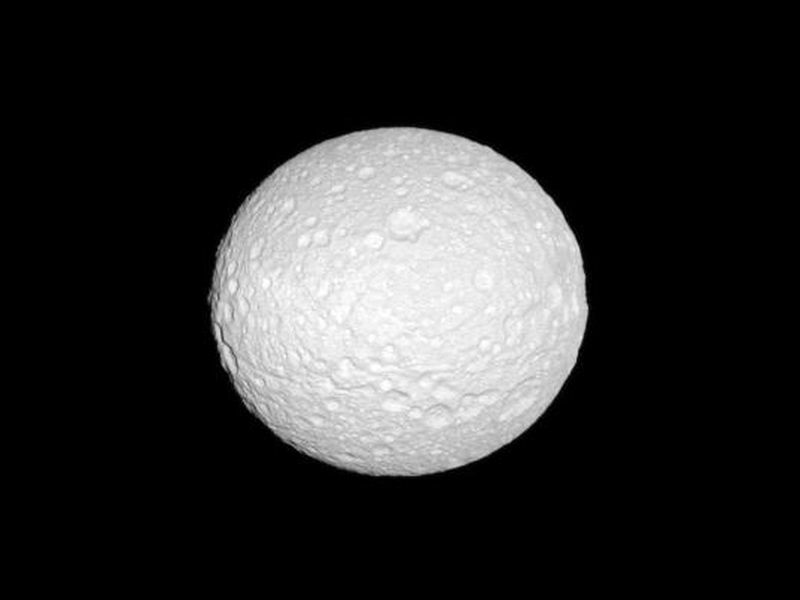 The Cassini spacecraft reveals the cratered surface of Mimas, a moon whose shape is flattened at the poles. See PIA07534 to learn more about why the moon has this oblate shape. 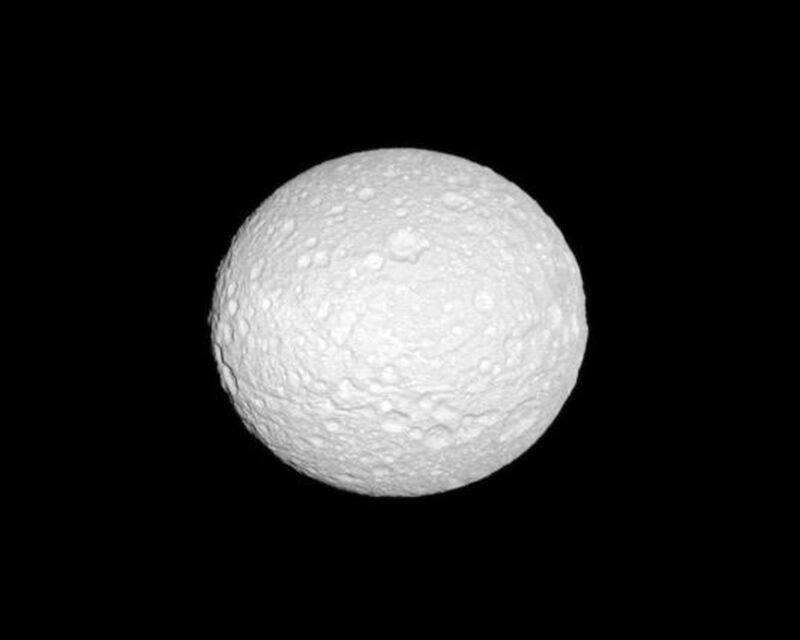 This view looks toward the trailing hemisphere of Mimas (396 kilometers, or 246 miles across). North on Mimas is up and rotated 1 degree to the left. 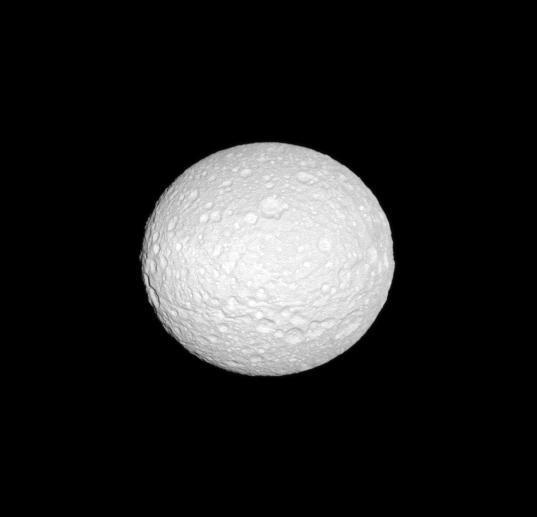 The image was taken in visible green light with the Cassini spacecraft narrow-angle camera on Oct. 14, 2009. 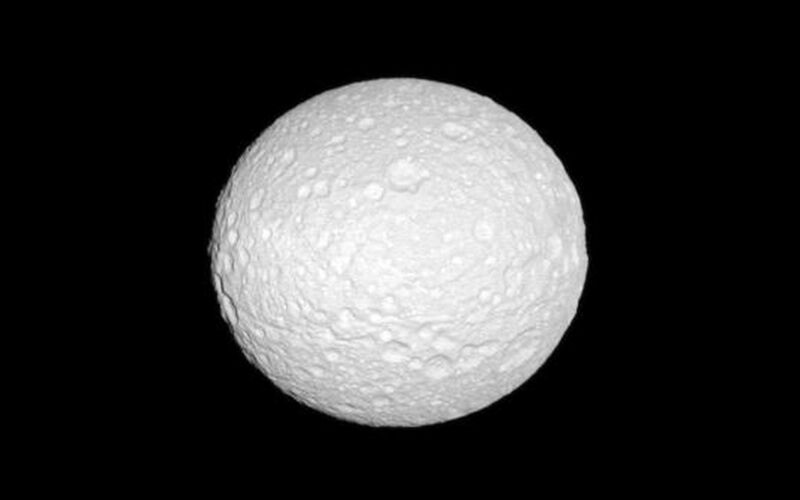 The view was acquired at a distance of approximately 273,000 kilometers (170,000 miles) from Mimas and at a Sun-Mimas-spacecraft, or phase, angle of 5 degrees. Image scale is 2 kilometers (about 1 mile) per pixel. For more information about the Cassini-Huygens mission visit http://saturn.jpl.nasa.gov/.